Thank you Barbara! I appreciate your comment all the more after seeing your awesome sunflowers! Beautiful, love colors and composition! Voted. Thx. Rory I will give you an update! When I get one! Thank you Derek! Please keep me posted about your Miami contest!!! To me it's just fine the way it is, Rory! Thank you so much Jennie Marie! Love the comp,effect and colors Rory! Rory. I just love this-- your technique is so unique--beautiful! Thank you so much Linda, that's a lovely comment and it just makes my day! My sincere thanks to First Star Art for featuring "Delight" in the Loving VAN GOGH group. I am delighted!!! looks more like a painting than a photo...beautiful. And I do have a weakness for sunflowers. That is good to hear...because that is what I was aiming for! 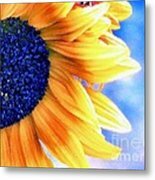 I share your passion for sunflowers although Gerberas are still my favorite! Your glass paintings absolutely intrigue me! 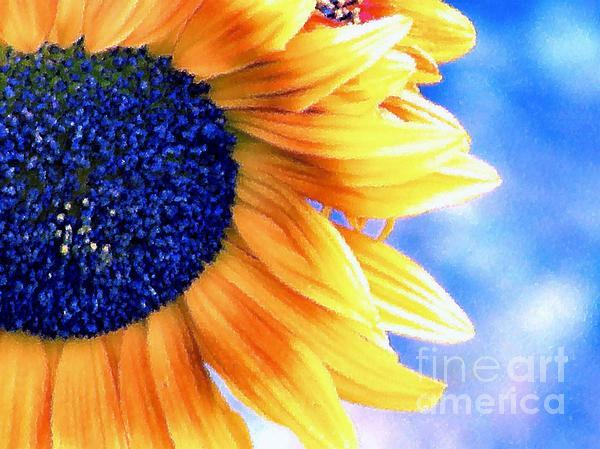 The colors are phenomenal on this fascinating and beautiful sunflower! Thank you for the delightful surprise...guffaw. I really appreciate you featuring "Delight" in the Female Artists - Creative Women group Madalena. We ladies need a cheerful balance to our "grieving women" work, yes? Thank you for your lovely comments Karen. That is very helpful feedback because I was experimenting! Rory, gave this one a vote in the thumbnail contest and here too. It fits so perfectly within the space. Also, I really appreciate and like what you did with the textures. Thank you Cheri...much appreciated! I am glad to hear what you and Ana Maria said because I keep thinking I need to do something else with this image...guffaw! Thank you so much Lynnette! 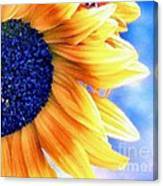 I know you love the Gerberas and Sunflowers too! An unexpected vision, A field of delight, I happened upon surprised, Astounded by the sight. TOP FINISHER in the Flowers In The Sky Contest, August 2012. TOP FINISHER in the Best Thumbnail Contest, August 2012. TOP FINISHER in the Lets All Participate Avatar II Contest, August 2012.